After struggling with digestive disorders for most of my early twenties, a friend recommended I try acupuncture. I was a doula and had possessed a passion for yoga and natural health for years, but I knew nothing about Chinese Medicine. Within a few treatments, my pain subsided, my energy returned, and I felt like a normal person for the first time in a very long while. I also noticed that my insomnia improved, the emotional disorders that had plagued me since my teens nearly disappeared, and I stopped catching every illness and cold that crossed my path. I was hooked. Four years later, I completed my Master's of Science in Traditional Chinese Medicine. I spent some time living in Southeast Asia where I was incredibly fortunate to work as the onsite acupuncturist for the Hariharalaya Retreat Centre in the Roluos Village outside of Siem Reap, Cambodia. I opened Ubuntu Wellness after returning to Denver, which has been and continues to be a dream come true. In addition to my practice, I lead breathwork ceremonies and women’s collectives in the Denver area and online. I deeply believe in the transformative power of guiding the body's innate capacity to heal itself, and my greatest passion lies in empowering women to take control of their reproductive health. I have helped women who were told they could never have babies become mothers. I have helped women regulate their menstrual cycles, alleviate their PMS symptoms, and restore periods that have gone missing for months and sometimes years. I have helped menopausal women relieve their hot flashes, and I have helped women with endometriosis eliminate their pain. I have helped people of all backgrounds recover from depression and anxiety, sleep through the night, step into their purpose, revive their relationships, and rediscover the magic in their lives. You deserve to be the best version of yourself. I would be honored to help you on your path to wellness. Katie received her undergraduate degree in Women’s Studies and English from the University of Colorado and went onto to attain her Master’s of Science in Traditional Chinese Medicine from the Colorado School of Traditional Chinese Medicine. After living in Southeast Asia, Katie eagerly broadened her theory base of acupuncture, Chinese herbal medicine, and energetic healing. She has studied with the likes of Kiiko Mastumoto, Mikio Sankey, the late Dr. Richard Teh-Fu Tan, Dr. Randine Lewis, and Dr. Jill Blakeway. Katie has worked at Denver Fertility clinics as an ART acupuncturist, and has served as a labor and delivery doula. In 2017, Katie felt a higher calling to learn the lineage of Classical 5 Element Acupuncture and became a student of renowned practitioners Neil Gummenick and Mary McCullough at the Institute for Classical 5 Element Acupuncture in Santa Monica, where she now serves as faculty. Katie believes that 5 Element Acupuncture is the most profound form of medicine she has ever encountered, and continues to implement this as the primary form of healing work at Ubuntu Wellness. 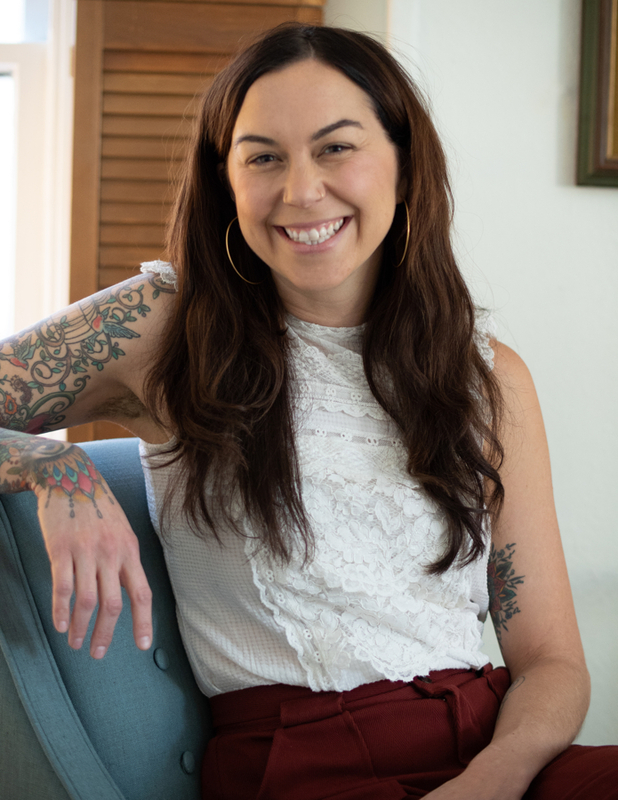 In addition to her work as an acupuncturist and herbalist, Katie teaches Holotropic Breathwork in the Denver community. She is a devotee and student of Kundalini yoga and Tibetan Buddhism, and holds a passion for the healing powers of nature and shamanic plant medicines. Katie lives in Denver with her dog Piper, and enjoys eating, writing, wandering around the world, playing her piano, and being in the mountains as often as possible.